Today I've decided to share my latest DIY find. This is incredibly easy, super wearable, and really beautiful and elegant. 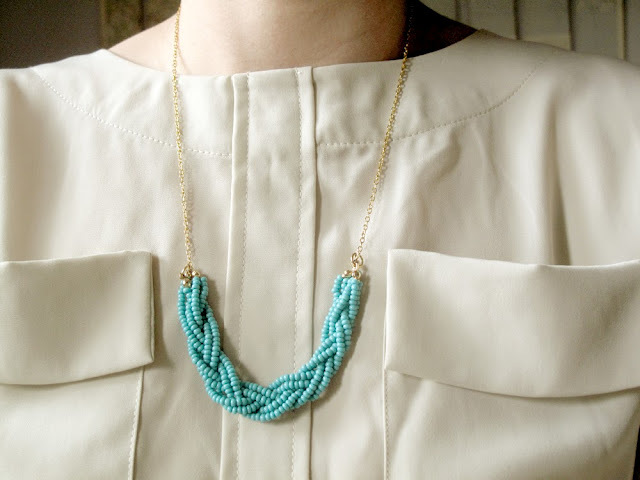 The braided bead necklace is my favorite piece of jewelry to date, so finding this simple tutorial was a major highlight! The super talented people at ECAB were kind enough to explain step by step how to create this piece. So, without further ado, here I leave the link to the tutorial, courtesy of one of ECAB's bloggers, Jessica Lord. Also, be sure to check out the rest of their projects... many inspiring ideas in there! Would you try this, or any of ECAB's tutorials?